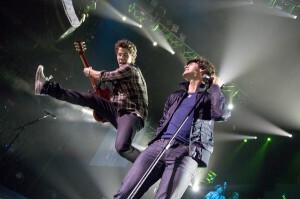 Truth be told, the Jonas Brothers did not have to do a lot of anything for the crowd to shriek with exaltation Friday night at Mohegan Sun, and they knew it. “You guys will screech at anything!” Joe Jonas mentioned during the first of three shows at the casino (the other two are Saturday at 3 and 7:30 p.m.). All the same, the trio worked to earn the adulation, roaming around the stage, mugging for fans and emerging a steady stream of standard-issue concert banter. If you were not a tween girl overcome with the delirium of seeing your pop crushes in person, though, the show got off to a slow start. The energy felt queerly flat for the first half of the 75-minute concert, as if the trio (which played with a 10-piece band) couldn’t silence settle into a rhythm on bright pop songs with catchy hooks — and more than a little audience assistance in singing them. A few technical glitches didn’t help, either. 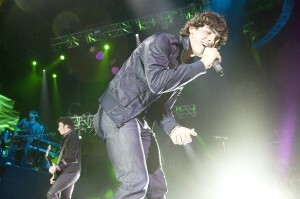 Nick Jonas microphone never appeared loud enough, for starters. Worse, when it came time to play a song on a baby grand piano, the instrument was not hearable at all. 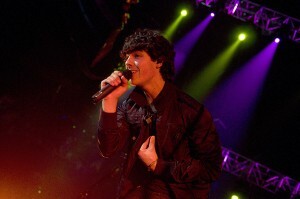 While he and a pair of techs played with the piano, which never did end up working, Joe Jonas stalled for time by bringing up a fan to help the brothers sing a song — except that neither Joe nor brother Kevin, or the band, could quite remember how the intended tune, “Leave It On the Line,” went. 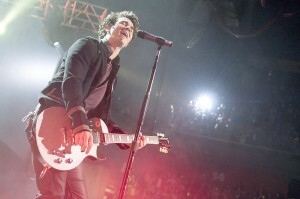 A few songs later, the band at last clicked when Nick Jonas took over on drums for “Video Girl,” a punchy pop song adorned with strings and horns. From then on, the brothers looked like they were having as much fun as the crowd, casting in a cover of Neil Diamond’s “Sweet Caroline” for the parents and showing a funkier side of their wholesome pop on “World War III,” which featured the added bonus of Joe Jonas shedding his shirt to reveal a blue tank top and buff arms that were cause for additional screaming. 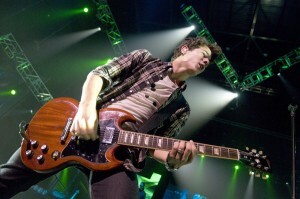 After the lovelorn ballad, “Lovebug,” anchored by Nick Jonas picking out an accompaniment on acoustic guitar, the band finished the main set with “S.O.S.” before returning for a two-song encore. The first, “When You Look Me in the Eyes,” layered strings and gooey, soaring synthesizer over an acoustic guitar. The second, the funk-laced rocker “Burnin’ Up,” ended the show on an upbeat note with steamy wah-wah guitar riffs and, of course, more screaming.